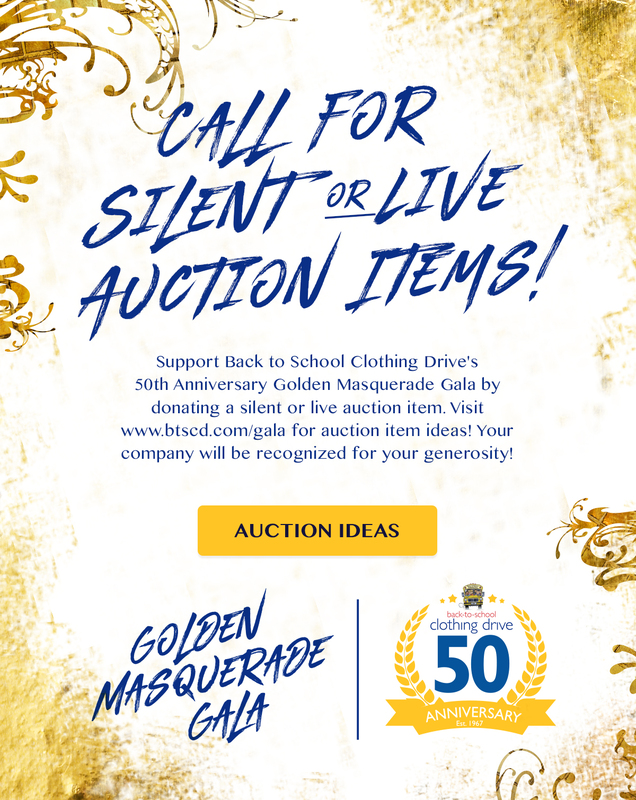 The Back to School Clothing Drive, Arizona’s largest provider of uniforms, clothing, backpacks and school supplies to Title I elementary-school students at over 260 Maricopa County schools, is July 23-27. 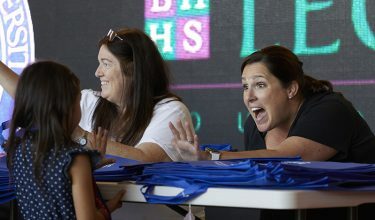 More than 5,000 K-6 pre-registered students attend the annual week-long New Clothes, New Beginnings event. 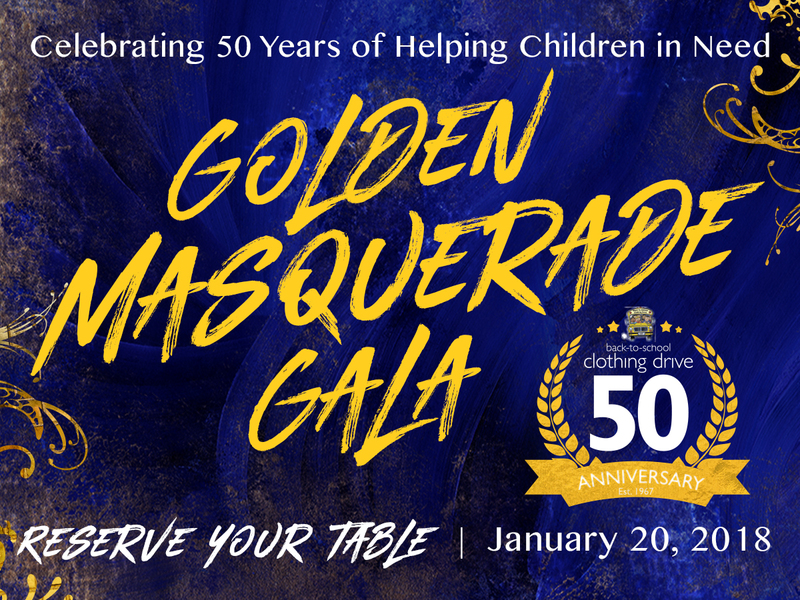 More than 25,000 students will receive supplies, clothes throughout the year. In an ongoing effort to support the registration of your students, we have hosted and recorded a registration webinar and are making it available here for your use. Please take a few minutes to watch the webinar which provides you with updates on the process, event and program. We will host additional webinars prior to the event to give coordinators an opportunity to participate. Click here to view the webinar video. 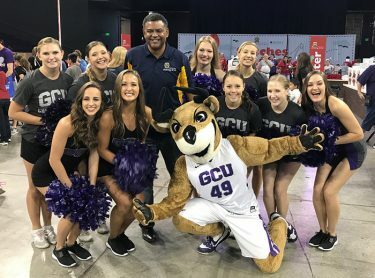 By Laurie Merrill GCU News Bureau A herd of purple-clad Grand Canyon University staff, students and athletes turned out in force on Tuesday – GCU Day – to bring smiles, cheer and a helping hand to children attending the annual Back to School Clothing Drive.